Spring is finally here. Spring is one of the best seasons to travel around Japan. About half an hour away from the congested business center of Tokyo, a number of attractive tourist sites in Kanagawa give you an enjoyment of Japan’s four seasons throughout the year. Having said that, it goes without saying that tourists can fully enjoy natural beauty of Kanagawa especially in spring. The following three spots offer fantastic spring vibes. 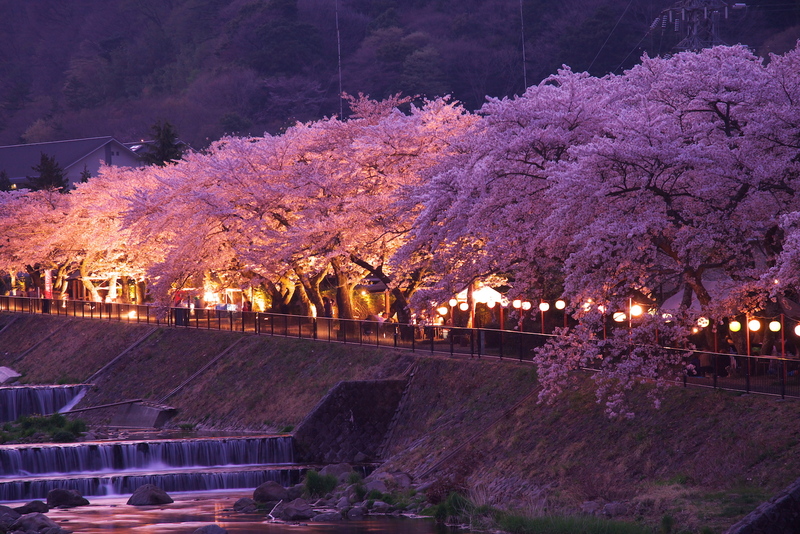 As many as 120 Somei-Yoshino cherry trees stretch for about 600 meters along the Hayakawa-river. In a fantastical atmosphere with the falling cherry blossoms, you can stroll around the area in the sound of the flowing river. Also, there are about 100 weeping cherry trees along National Route 138 nearby. 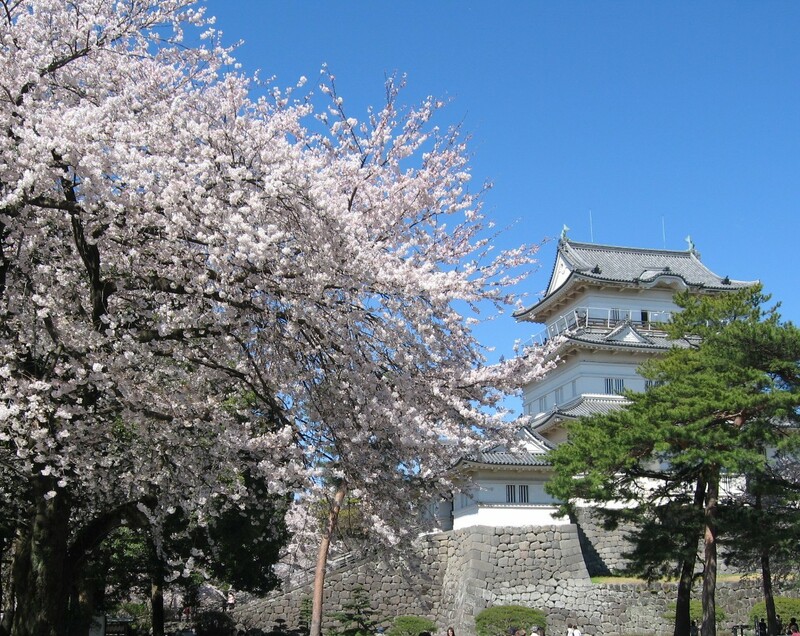 As an officially designated historical site, Odawara Castle Park is a center of the tourism in Odawara where various events take place throughout the year. 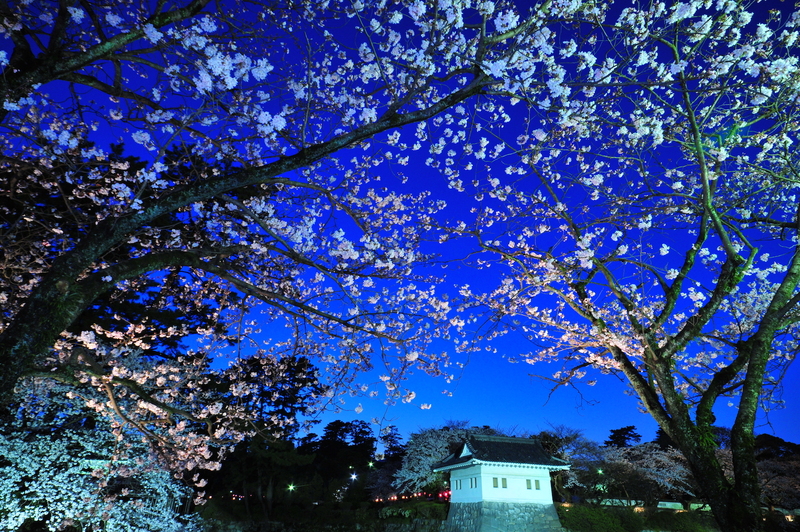 In spring, it is a well-known place for viewing cherry blossom. Especially during “Sakura Festival”, paper lanterns are lit and colorful lights illuminate cherry blossoms after sunset at the park, offering an all-day entertainment experience of cherry blossom. 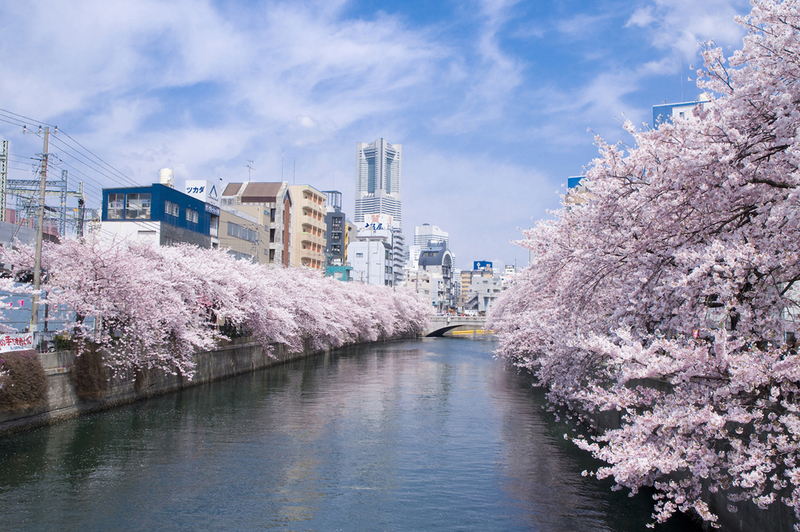 Watching over the cherry trees in full bloom, you can enjoy cruising on Ookagawa-river in Yokohama. 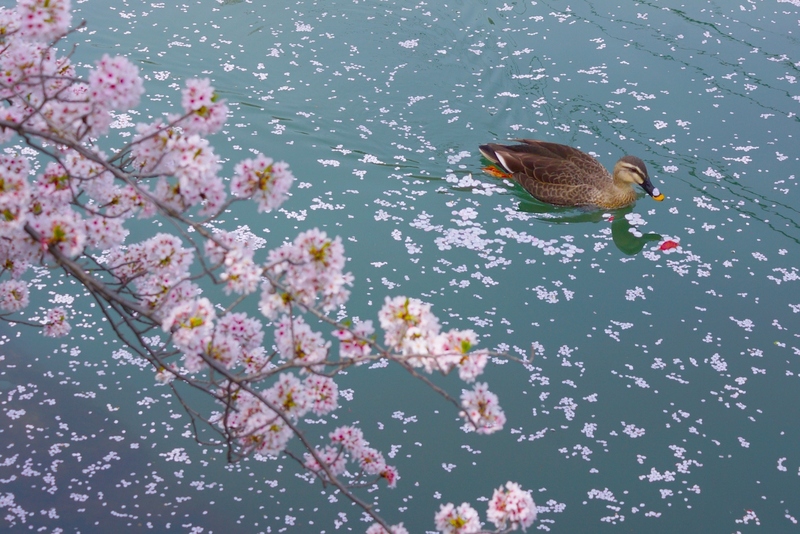 The river is a very popular cherry-blossom viewing spot near Tokyo. 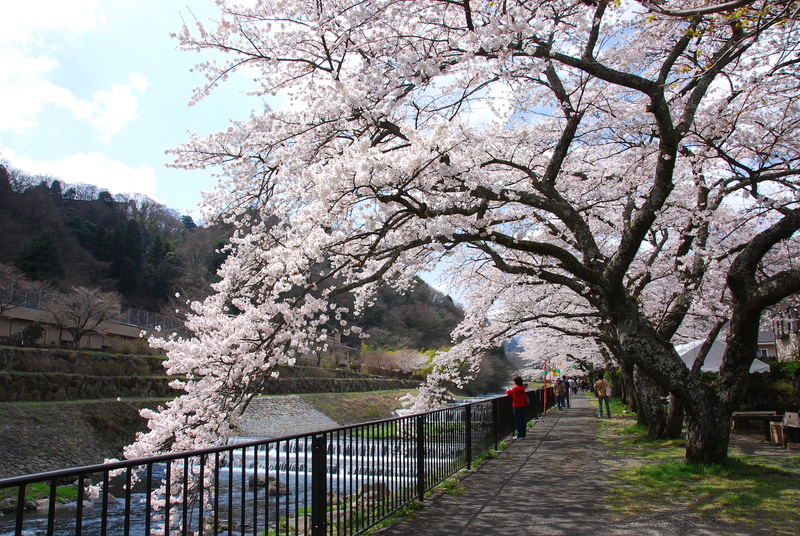 More than 600 cherry trees line up for three kilometers along the river. The view from cruise boats gives you a feeling as if going through a tunnel of cherry blossoms. From March 30 to April 1, Ookagawa Sakura Festival takes place where various food stalls turn up under the cherry blossoms. Interested in any of these spots? Please note that the best time for viewing cherry blossoms varies depending on the weather.